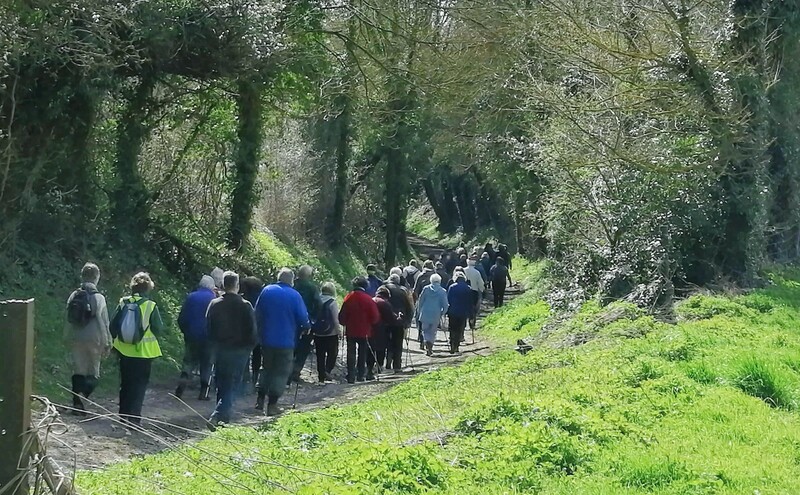 Weekly walks starting from Anstey Park Rugby Club, either in Alton or travelling further afield. Mainly woodland and countryside routes. The walk this week will follow a new route from Upper Wield going south of Barton Copse then west towards Armsworth Hill and back along the southern edge of Wield Wood via Three Castles Path. This will be a gentle walk of a fraction over 3 miles covering mostly level terrain across a mixture of open fields, alongside hedgerows and through woodland. There are just 2 easy stiles. The Village have again generously allowed us to use the Village Hall carpark which has spaces for about 12 cars. Additional parking for about 6 cars is available on the grass verge alongside the carpark and hall. There are also various places dotted around the Village where parking is possible. Please take care not to cause any obstruction and please do not park on the Village Green. Go past the Post Office/Village Store and the hardware shop on the left. Carry on along this road which soon becomes Wield Road. After 1½ miles turn left at the signpost for Upper Wield. After a further ½ mile the Village Hall carpark will be found on the right just before the Village Green. The walk will start from the Village Noticeboard at the western end of the Village Green at about 10:50. Lifts will be available from Anstey Park until 10:30 courtesy of Gill, David and Ian. I look forward to seeing many of you on Tuesday.